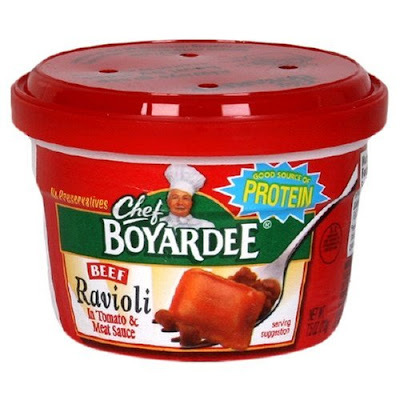 Weighty Matters: Study suggests eating Chef Boyardee helps weight loss? 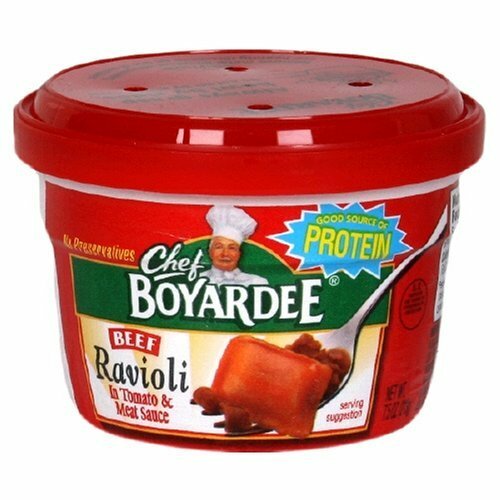 Study suggests eating Chef Boyardee helps weight loss? If I worked for Chef Boyardee I guarantee I'd be featuring this study in an advertising campaign. I'd be doing the same if I worked for Smucker's, Lean Pocket's, Kashi or Campbell's. Here's the scoop. Straightforward study. 17 folks were provided with all of their meals and snacks 5 days a week for 5 consecutive weeks. First week was a buffet where foods were weighed before and after eating. Next two weeks half the group selected their lunch from a selection of six commercially available portion controlled "foods" and could eat whatever and however much they wanted for the rest of the day. The other half kept hitting the lunch buffet. For the last two weeks the split groups were reversed. The calorie controlled "foods" being consumed at lunch (you'll understand why I put "food" in quotes in a moment)? All rang in at roughly 200 calories and included Chef Boyardee Pasta, Smucker's Uncrustables, Kashi Bars, Lean Pockets or Compbell's Soup in Hand. Consuming portion controlled ultra-processed awfulness at lunch led to a daily caloric savings of 250 calories! That's actually a great many calories. Mathematically eating 250 fewer calories per day could lead a person to 1/2lb of weight loss weekly. So should you start eat calorie controlled portions of ultra-processed "food" for your weight management effort? Only if you plan on doing so forever. I know I'm a broken record, but whatever strategy you employ in your weight management efforts, unless you plan on keeping it forever, is just a waste of time. The argument about the nutritive value of this intervention? That's a toughie. Sure it's easy to look down at these "foods" and make fun of them nutritionally, but you might just as easily make the case that were a person able to lose and maintain a loss by eating them, that the benefits of the loss shouldn't be casually discounted.